Disclosure: The Home Depot provided me with product and compensation. The opinions I have shared about the products are my own. This post contains affiliate links. 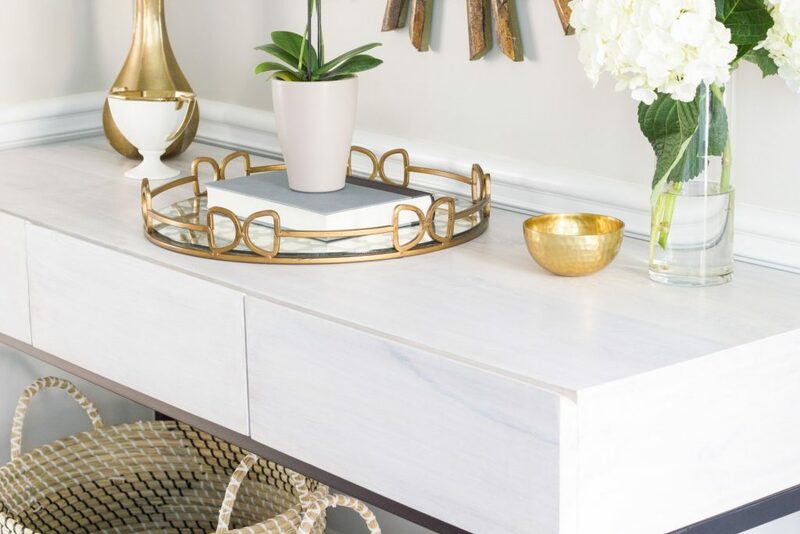 First, I styled the desk as an entryway console table. 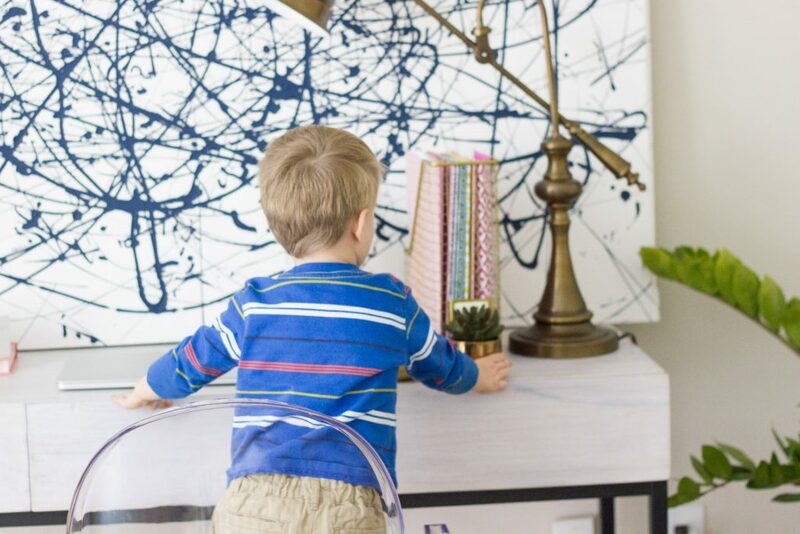 This particular desk is the perfect size and style to be used for this purpose. I love the modern, clean lines and the mixed materials. 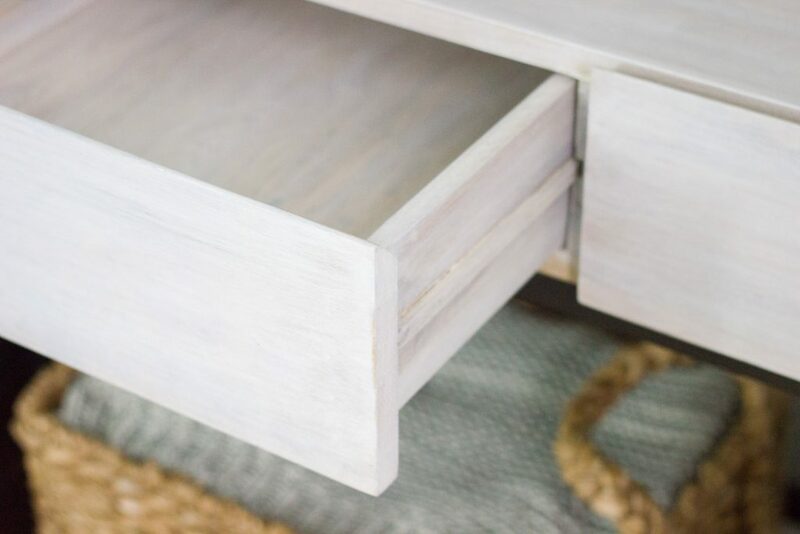 The juxtaposition of the dark metal and the whitewashed wood is so pretty. I also love that the drawers provide storage for things like mail and other miscellaneous “stuff” that tends to end up in the entryway drop zone. I stashed a couple of oversized baskets underneath the table to hold shoes, jackets, backpacks, and anything else my kids generally decide to drop on the floor as soon as they come through the front door. Now there is a place to put it where people won’t trip over it! The little gold dish is perfect for dropping keys in. Next, I used it for its intended purpose, as a desk in my home office, aka “mom cave.” It’s larger than the desk I had in here before, and I love that there is storage since I didn’t have any before. I also like that there’s an option to lock the drawers in place so they can’t slide all the way out, or unlock them so they can. I decided to keep them locked so a certain resident toddler doesn’t come along and yank them out onto the floor. 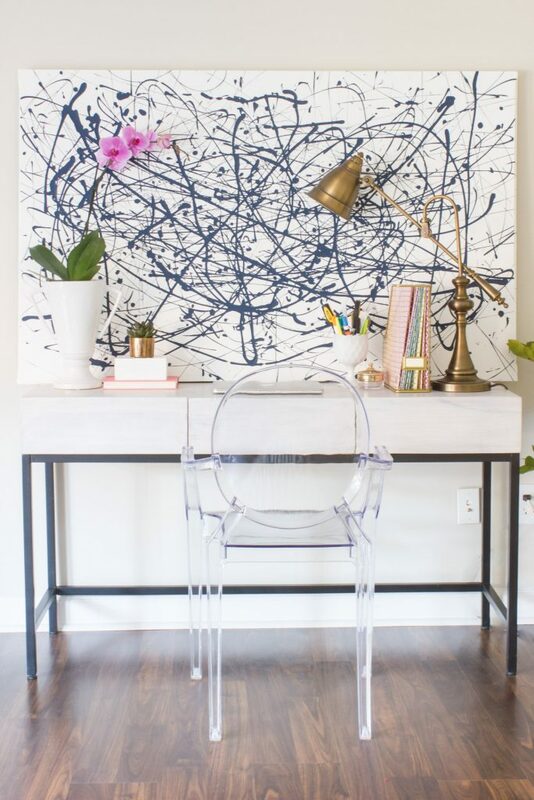 I made the abstract art above the desk using a drop cloth as the canvas. I decided to hire a professional stylist to help me with this project. He swore he was of legal working age, but he looked a little young to me. Hmm … At least he was cute. I decided to let him hang around for a while. 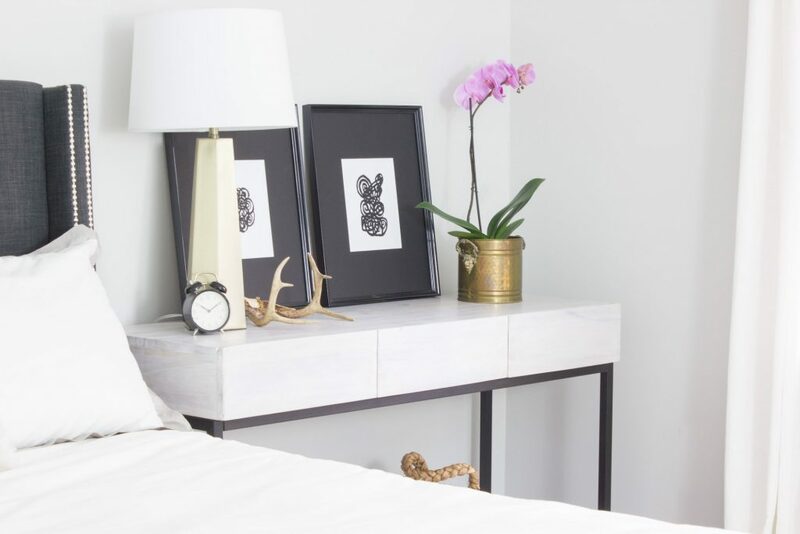 Last but not least, I styled the desk as a bedside table. We actually already have a desk on the other side, but this one is so pretty and I actually like it better. 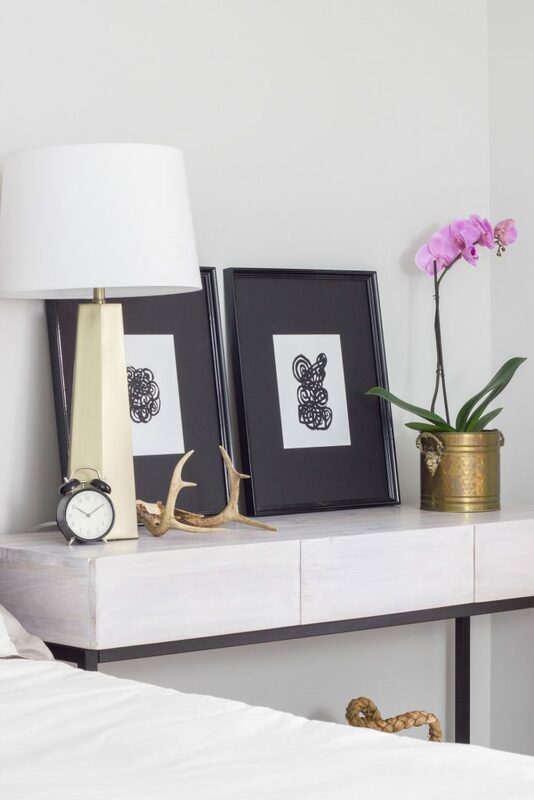 While I loved the desk in each of these three spaces, I ended up keeping it in our entryway. It’s the perfect addition to that space, and I love that it’s more substantial than what we had there before. The added storage is a plus too! 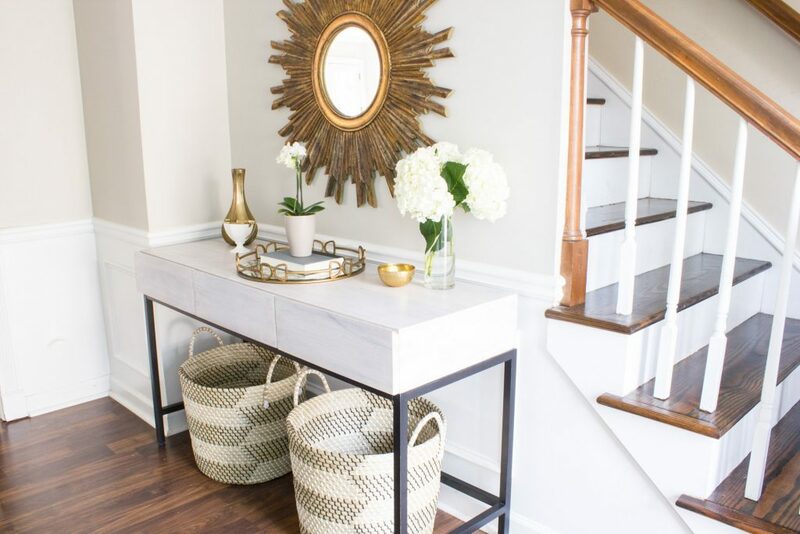 The way you’ve styled it in the entryway is my favorite! 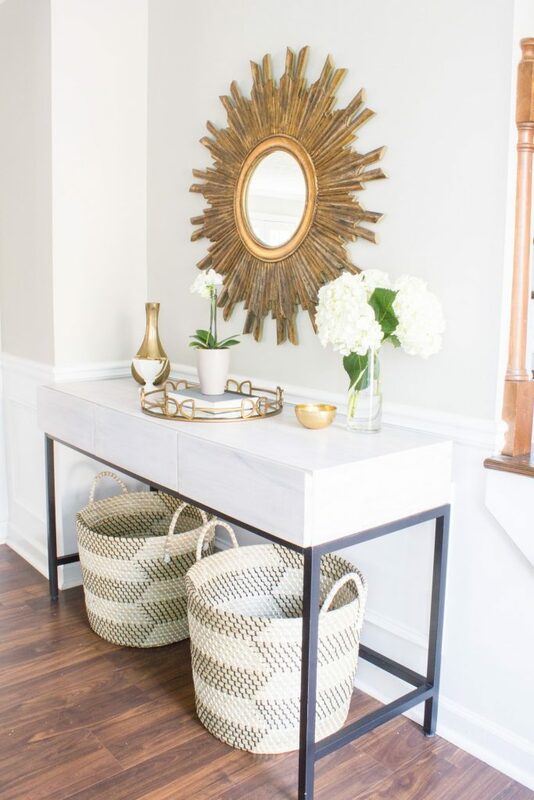 I’m going to use that as inspiration for my own entryway that’s calling out for a table and some styling. I live in Australia so don’t have the Home Depot but will search for similar items. Thanks so much for the inspiration! 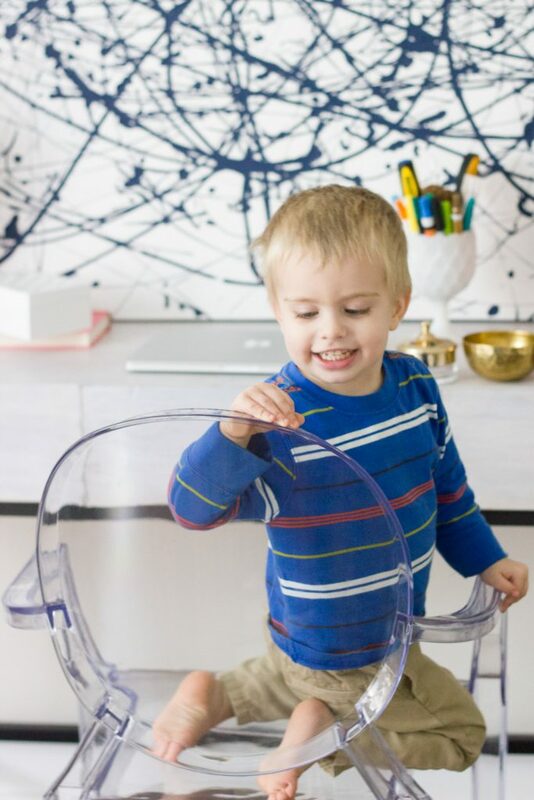 I have a clear chair just like that and I love it! 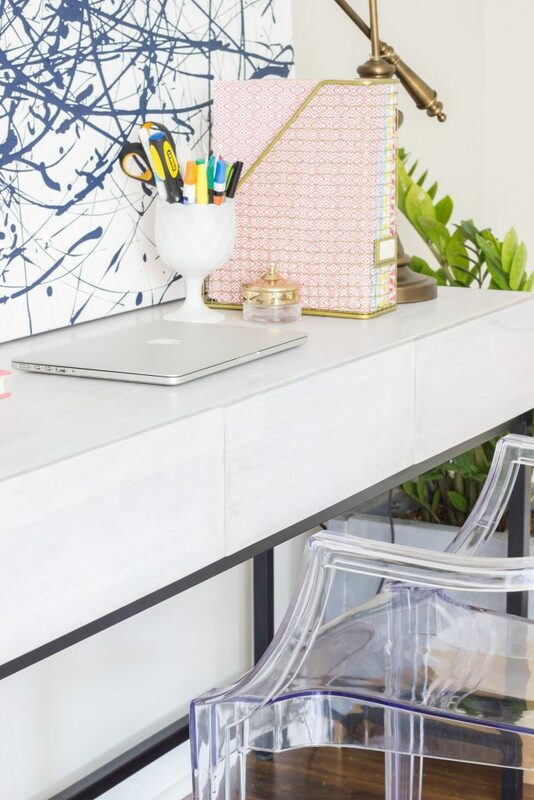 You did a great job styling all 3 settings for the desk. You mentioned recent losses in your life. I’m praying for you and your family. Thank you so much, Bonnie. 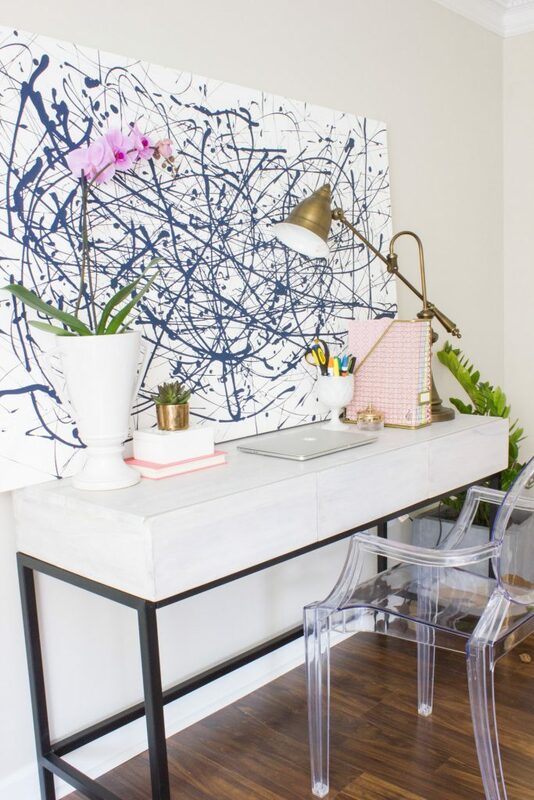 What a fantastic job you’ve done of styling this desk! Sometimes I can be a bit short sighted to a piece of furniture’s potential, taking it for what it is. 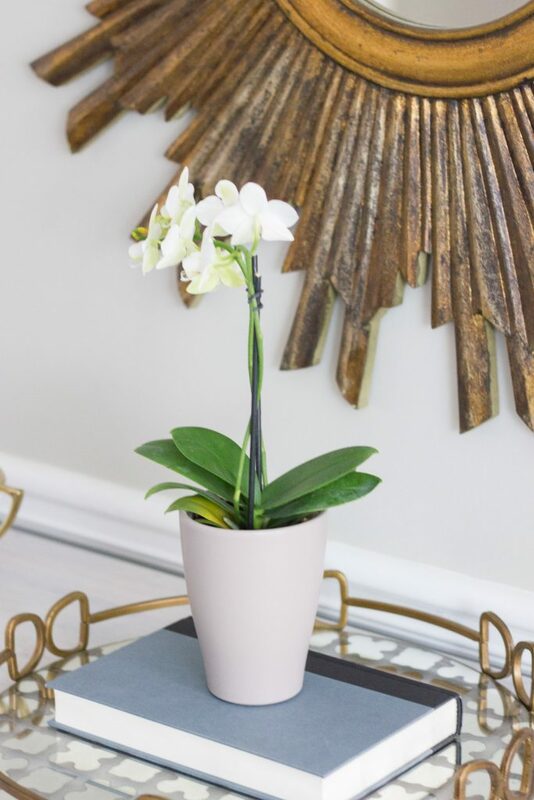 However these three ways of styling look beautiful! My favourite has to be the entry way version though. 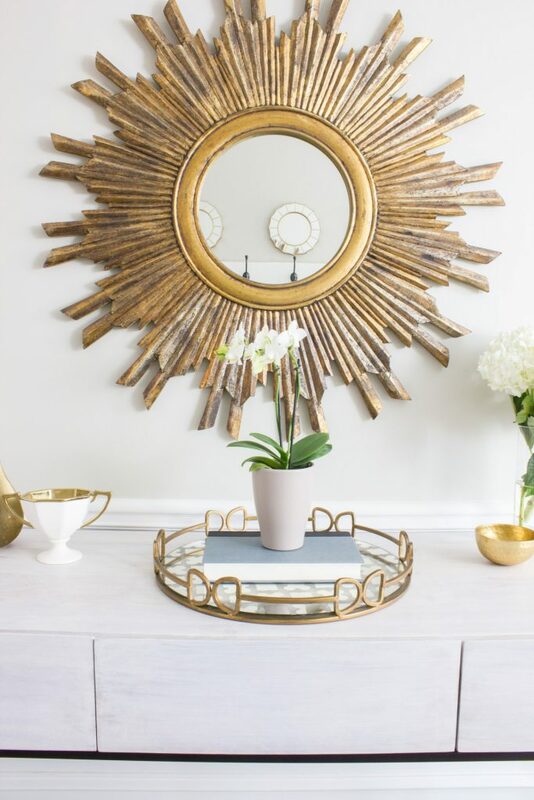 It seems to be a perfect fit for that space, and I love the gold accents too. You did a fabulous job doing all these three ways. WOW! Those three look seems completely different and its really really hard to pick my favourites from it! I like the home office so much and Both the entryway and Bedside! Being silly sorry, I love the threeee !!! 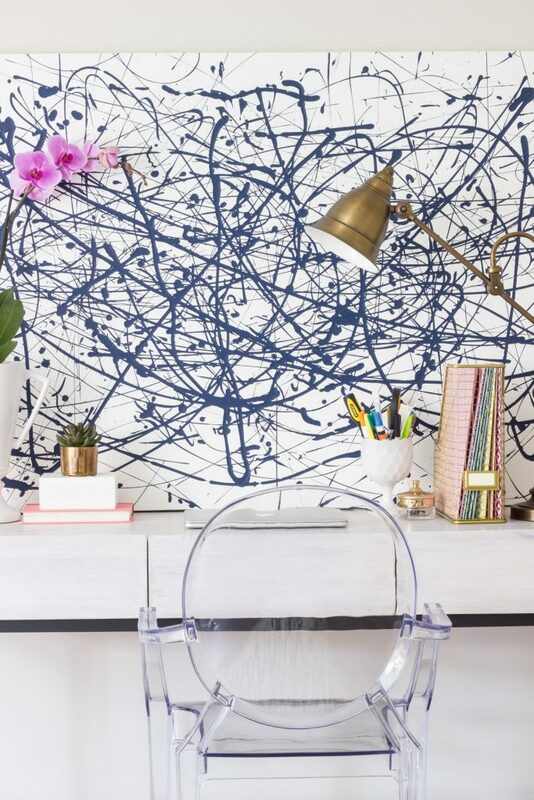 The home office look is also cute! I like this one. The home office is my favorite, for sure. Looks really classy and neutral, I’d love to work in an office like that. I like all three variants. The desk is very nice.